Pinot Blanc, or Pinot Bianco as the Italian called it, is often the light bodied, refreshing inoffensive house wine with a faint hint of citrus and apple served in many restaurants that is often drunk without a second thought. True this may be, there are indeed some eye popping Pinot Blancs that could grab one’s attention, and I had the pleasure to have tasted one of these recently. 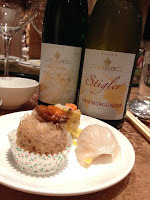 The wine in question was Weingut Stigler 2012 Weissburgunder Trocken, Ihringen Winklerberg ''GG'', Weissburgunder being Pinot Blanc in German. Because of the neutral varietal character, the wine was understated at first sip although I could feel the depth in it, and it was not as appealing as the 2012 Grauburgunder Kabinett Trocken (Pinot Gris) that was served alongside. However, the wine shone and revealed its beauty when paired with food. The sweetness of the pork dumpling and taro pastry brought out the stone fruits aromas, which in return, enhanced the flavour in the dim sum. This was followed by the classic roasted suckling pig and assorted meat, which I thought might overpower the wine. But quite opposite, not only did the intensity of the wine stood up to the flavoursome meat, it also cut through the fat and brought a lightness to it. This magic combination between wine and food would arouse interest in curious consumers, encouraging them to explore more pairing. the vines were planted in 1985. 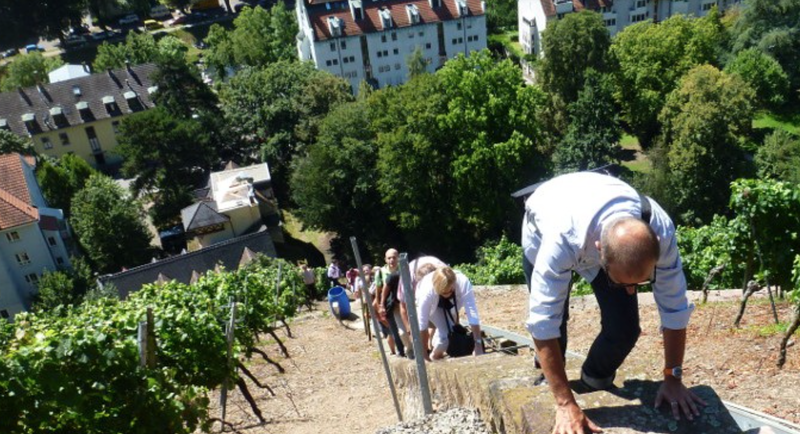 With Baden being the sunniest wine region in Germany, the grapes ripen to exceptional ripeness resulting in a concentrated wine. Partially fermented in lightly toasted oak barrel added further complexity and roundness to the wine. I have to say this is one of the best Pinot Blanc I ever tasted. Baden is the home of Burgunders in Germany because of its warm climate. Apart from the Weissburgunder and Grauburgunder, We also tried two of the Stigler’s Spätburgunder (Pinot Noir). The 2011 Pinot Noir “Max” Spätlese Trocken was an easy-drinking fruity wine made by the fifth generation Maximillian (hence the name Max on other label), and the multi-layered 2009 Spätburgunder Backöfele “GG”, Ihringer Winklerberg. The wines kind of reflected the characters of the winemakers - Max being energetic and vibrant, while the latter being deep and structured. 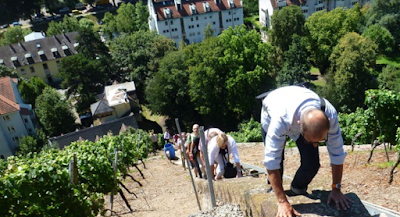 Andreas also makes a Riesling Spätlese, Ihringen Winklerberg ''EL'' which was not in the plan. In one difficult year, the Riesling didn’t quite ferment to complete dryness with some residual sugar left. The wine still had to be sold and to the Stiglers’ surprise, it was exactly what a restaurateur was looking for — a slightly sweet wine to match with food. Needless to say, a new style of wine was born. We had the 2012 vintage which was elegant and refreshing, laden with apricot and melon. I can imagine it would be fantastic with Vietnamese and curry flavoured dishes. I came across Acaibo at a Gonzague & Clare Lurton tasting, the Bordeaux couple both from wine families but separately and successfully manage their own family properties, Ferriere, Haut-Bages Libéral and Durfort-Vivens. At first I thought Acaibo is just another commercial New World venture from a Bordeaux family but upon talking to Claire at the tasting, I found that Acaibo is more than a mere investment. Gonzague and Claire, along with their extended family members, own more than 20 chateaux in Bordeaux alone but the couple always wants to create something special that they can truly call their own, like their children. After over 10 years of searching, they finally came across this 24-acre (around 10ha) piece of land on Chalk Hill in Sonoma that according to Claire, was more than just land, and that she could sense the wildness, life and purity. They named the property Trinité Estate, derived from the Latin saying ‘Omni Trium Perfectum’, loosely translated as all sets of three are perfect, to pay homage to the three Grand Cru chateaux they took over and managed, the three grape varieties (Cabernet Sauvignon, Merlot & Cabernet Franc) where their wines are made from, and their three beautiful children. Gonzague and Claire consider themselves as guidance of the land which will be one day looked after by their children. 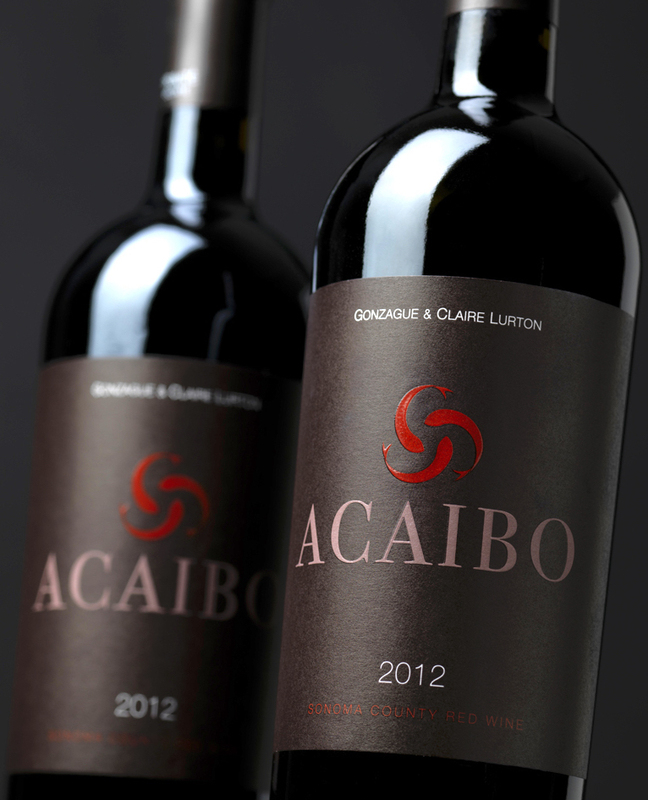 Acaibo is the name of the Bordeaux blend wine from Trinité, made up from words of the Native Americans living around Chalk Hill long time ago. Aca means fish, or Aka means water, a precious resource in California’s viticulture, and sibo means three - hence the logo with three fish. We tasted Acaibo 2012 and 2013. 2012 was clearly New World with upfront ripe fruits, while 2013 was more restrained with an added elegance. 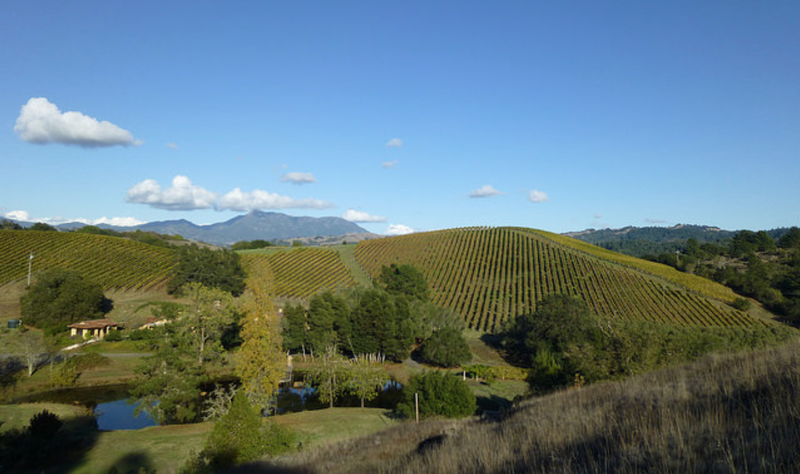 Claire agreed and explained that they bought the property in August 2012 and although harvest was in October, they couldn’t do much in terms of vineyard management, whereas for the 2013 vintage, they had a full year to tend it and make sure it was in natural equilibrium. She was even more excited about 2014 vintage and reckoned it would be the best of the three. The couple is proud of this blend of their French tradition with a very American spirit of adventure. 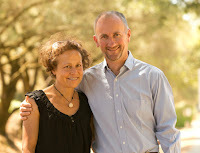 The fact that Gonzague and Claire moved the whole family to Sonoma indicated their commitment. Although Claire said she split her time between Bordeaux and Sonoma, I could see from her eyes and the way she talked that Trinité Estate is what the family called home now. There they planted vines, and their children play in the trees, and sometimes sleep at night beneath the vines. Acaibo is available from CCF Wine. Average consumer often have this love-hate relationship with sweet wine - be it German Auslese, sweet Bordeaux or Douro Port. They love it but don’t buy it. Most of them are unsure when and/or in what occasions to enjoy it. Besides, one can only have that much of sweet wine so consumers always worry that the bottle will be unfinished, further deterring them to buy or open one. In fact, sweet wine has every right to be on dinner tables and to be served with main meals. Chinese food is diverse with wide arrays of aromas and flavours that goes well with an equally wide range of wine including sweet wine. We don’t have a wine drinking history like the Europeans so we can be creative rather than restricting only white or red wine on dinner tables. We drink sweet lemon tea and soft drinks with food so for sure we can have a sweet wine with dinner. 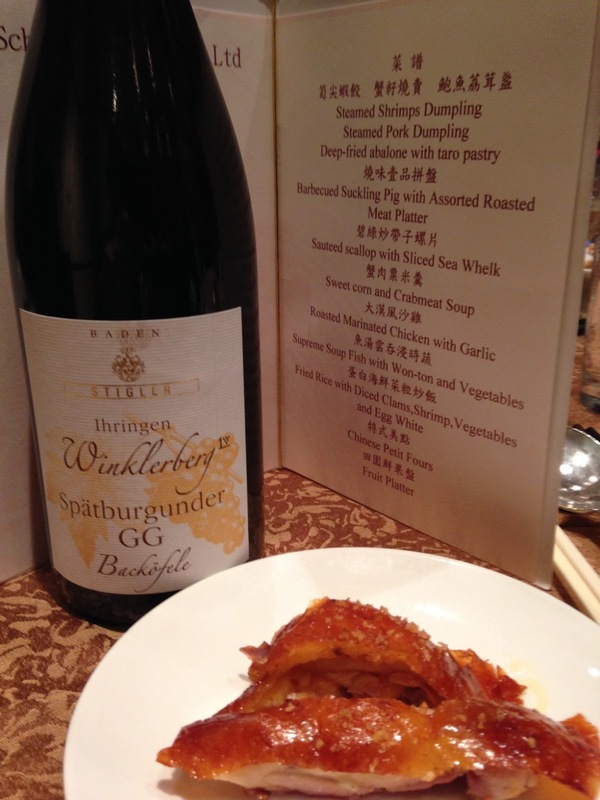 Sweet wine producers have spotted this and have been encouraging the pairing of their wines with Chinese dishes with positive feedback. 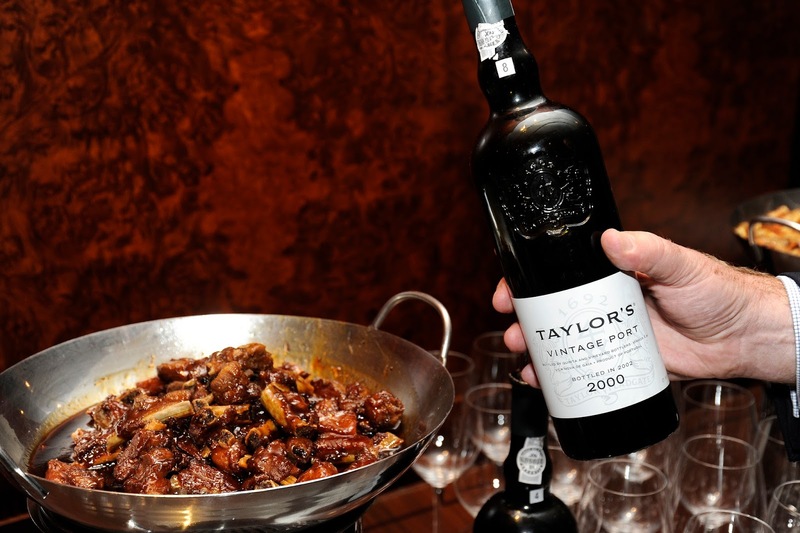 My most impressed pairing is young vintage port with Shanghainese sweet and vinegary spare ribs (糖醋排骨). The strong flavour of the sauce overpowers any red wine leaving only tannin behind but the similar robust flavour of a young vintage port would stand up to it. 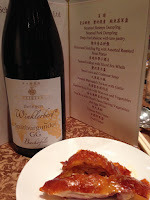 Equally, a 20 YO twany port matches well with roasted pork belly (燒腩肉) and so is a Riesling Auslese with spicy prawn (宮保蝦球). However, I have to say that the most proactive is Union des Grands Vins Liquoreux de Bordeaux (Sweet Bordeaux Association) created in 2009 representing the 10 appellations of Bordeaux sweet wine. Like all sweet wine, sweet Bordeaux has been losing customers because today’s consumers prefer drier wine and that the young generation thinks sweet Bordeaux old fashioned. The association aims to engage young consumers by presenting them with new and trendy ways to enjoy sweet Bordeaux from cocktail and with ice cubes to having it with savoury dishes such as tapas and curries. In addition to Europe, the association is also active in America and Asia by taking part in various trade and consumer festivals as well as hosting wine and food pairing dinners. I attended one such tasting lunch recently, presented by Wendy Narby, Bordeaux based educator, and was pleasantly surprised by the clever pairing. Most people might pair sweet wine with meat dishes because of the stronger flavour but this lunch took the pairing a step further. The starter was a delicate raw scallops with wasabi purée and it was paired with a lighter style 2013 Chateau du Pavillon from Sainte-Croix-du-Mont AOC. 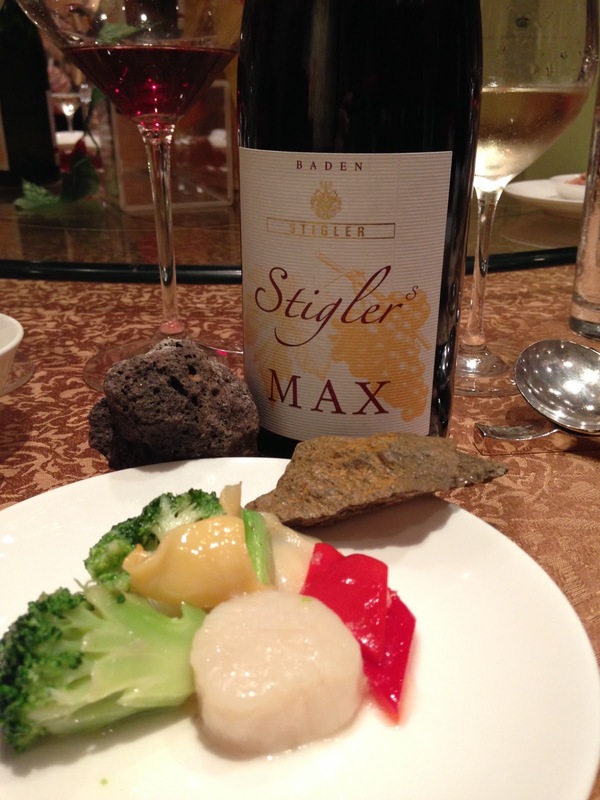 The wine was elegant and complemented the fragrance of the raw scallops. The wasabi purée enhanced the ginger and spices aromas in the wine. The main course was sea bass served with quinoa and yellow carrot with sour cream and black curry. I liked it with the denser 2012 Petit Guiraud from Sauternes AOC. The wine’s freshness cut through the fish’s oiliness while the heavier fruit aromas in wine was in perfect harmony with the sweet and not to spicy curry sauce. Wendy also reminded audience that an opened sweet Bordeaux can be kept for up to two weeks. Similarly, port wine (except vintage port) can be kept for 6-8 weeks after it is opened. This is definitely an incentive for all of us to indulge in a little sweet moment, with food or on its own, without worrying about the bottle being unfinished and wasted. Check out the Sweet Bordeaux website for more inspiring pairings.